A file photo of Education Sec. Betsy DeVos. 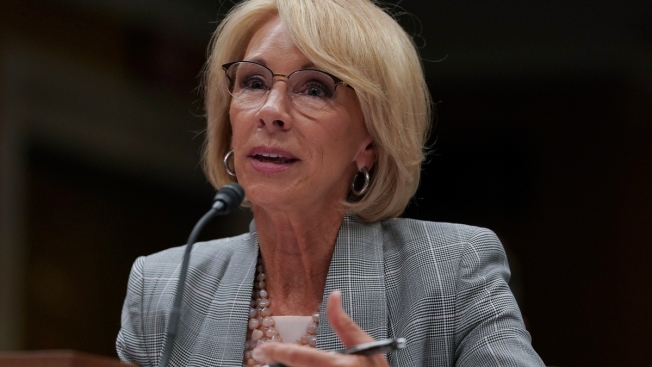 Someone untied a yacht owned by the family of U.S. Secretary of Education Betsy DeVos in Ohio, causing the vessel to drift into a dock and incur up to $10,000 in damages, police said. The $40 million, 163-foot (49-meter) yacht was moored at the Huron Boat Basin when the captain reported it became untied around 6 a.m. Sunday, The Blade reported.